Currently, it has 35 company-owned and 15 franchise-owned branches. Looking for a baking business? 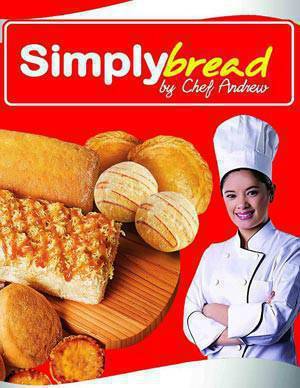 Simplybread by Chef Andrew is one of the newest bakeshop brands to offer the franchising route. Currently, it has 35 company-owned and 15 franchise-owned branches. Simplybread is popular because of their affordable and yummy line of Filipino favorites like empanada, egg tarts, chicken pot pie and ensaimada. Outlets are usually located inside supermarkets or malls. For the complete list, click here. The store began with just two outlets in Waltermart Makati and Robinson\\\'s Galleria and has now expanded beyond Metro Manila to Laguna and Bulacan. The brand lives by its motto that the secret recipe for success is a perfect blend of their people\\\'s trust, innate concern for customer service, passion for baking and food excellence, topped off by a sprinkling of innovation. * Other identification papers such as: passport; proof of billing; IDs etc. Send the documents to Filipino Food Favorites located at #69A C. Raymundo Ave. Bgy. Rosario, Pasig City or email them at simplybread.franchise@gmail.com. You can also call them at (02) 628.3004 and (02) 628.3007 for more details.